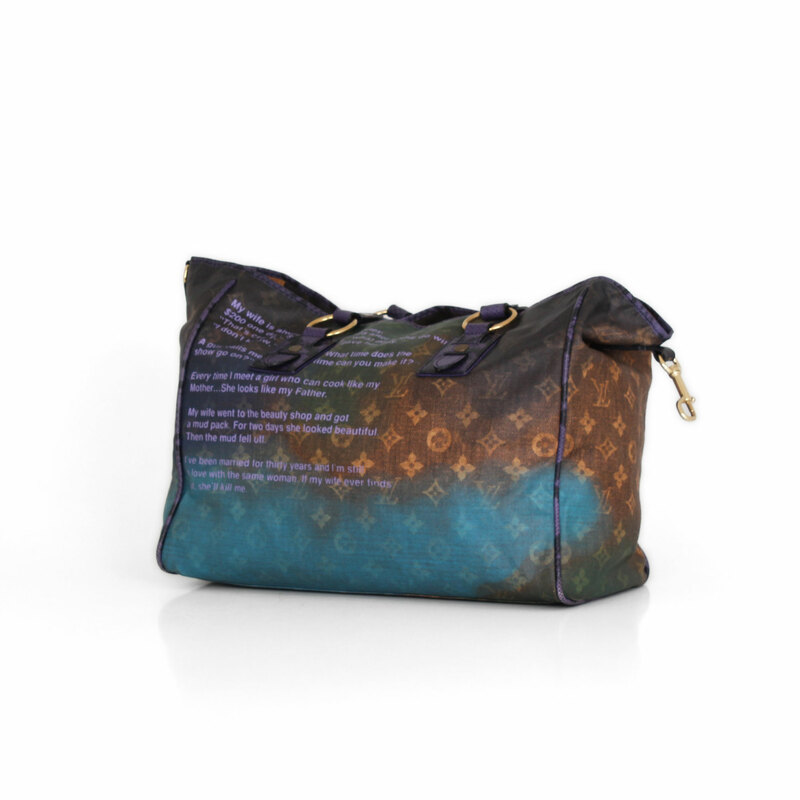 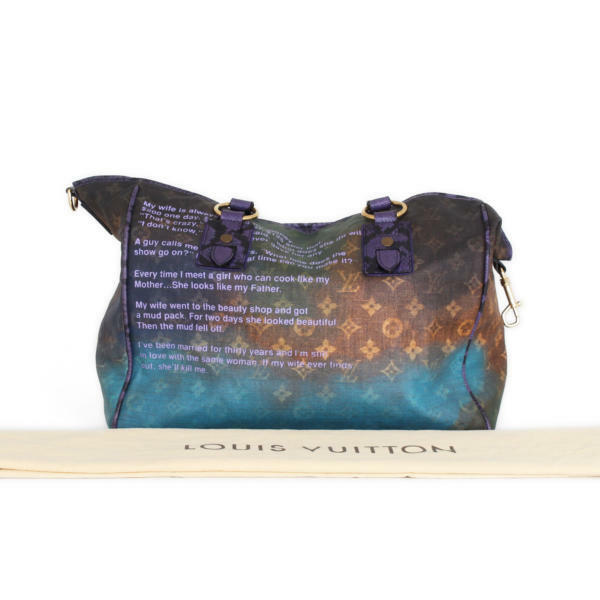 This Richard Prince collaboration belongs to the Spring/Summer 2008 Louis Vuitton Collection. 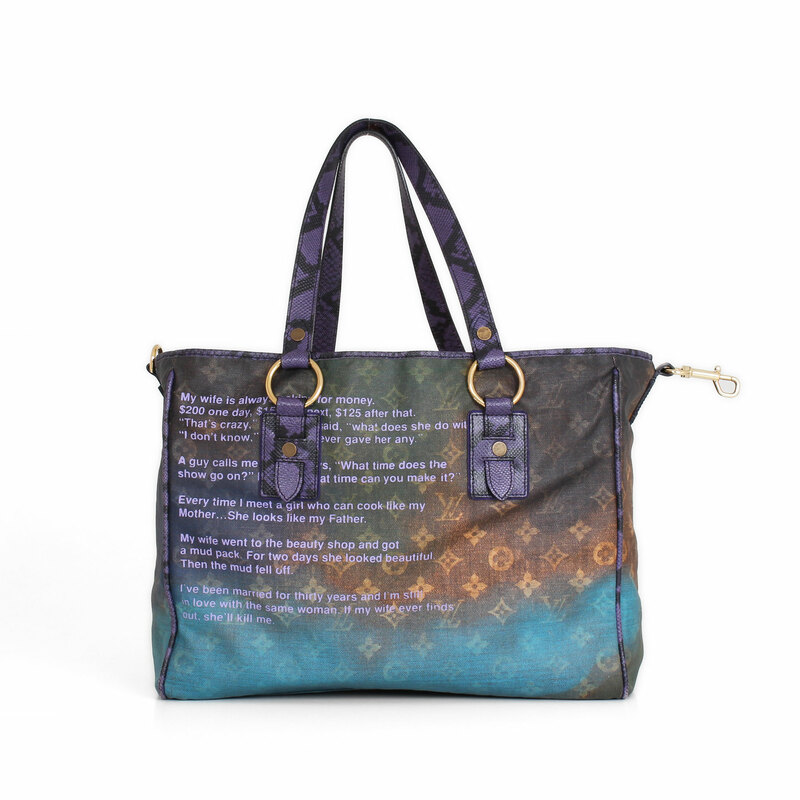 A cheerful and light shoulder bag perfect to carry all day long in the city. 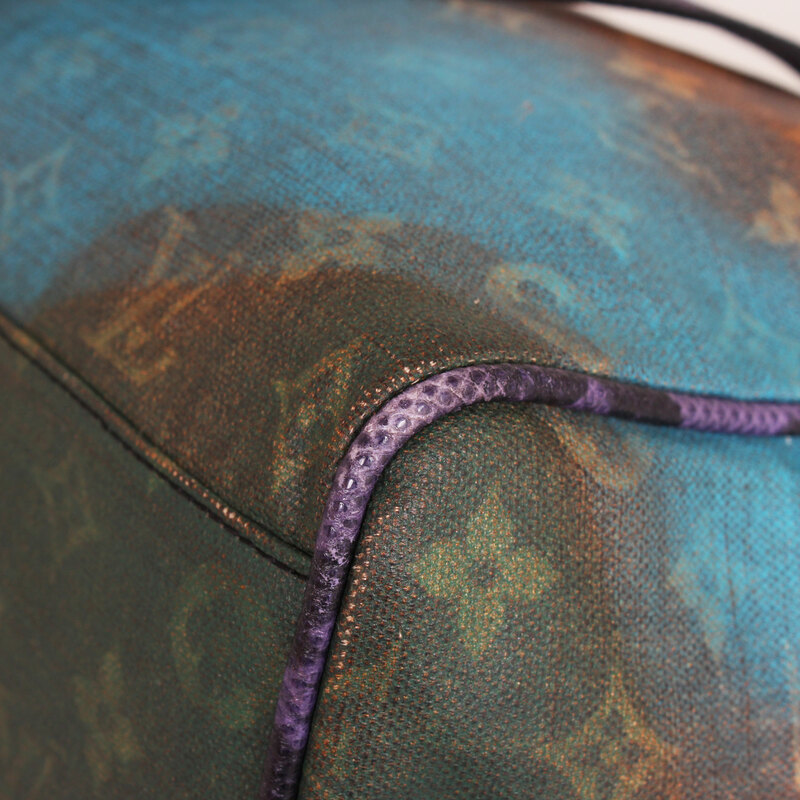 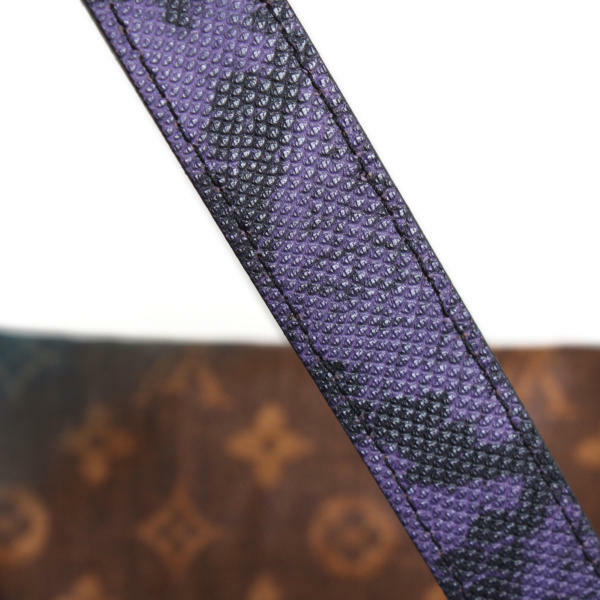 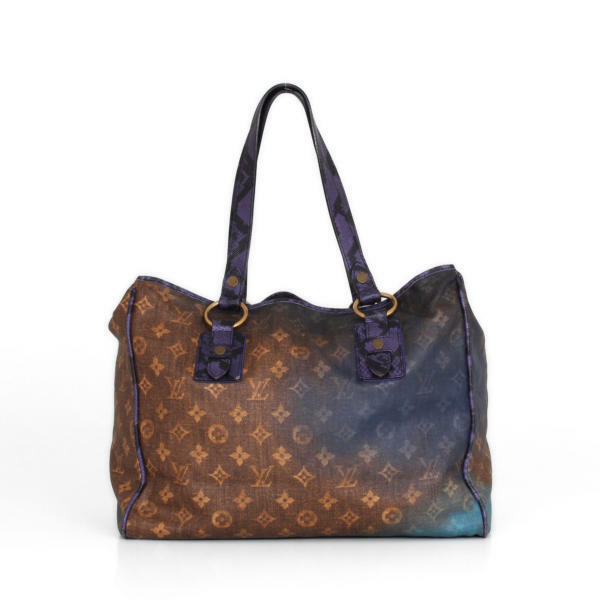 At CBL Bags we specialize on buying and selling luxury bags as this Louis Vuitton Limited Edition. 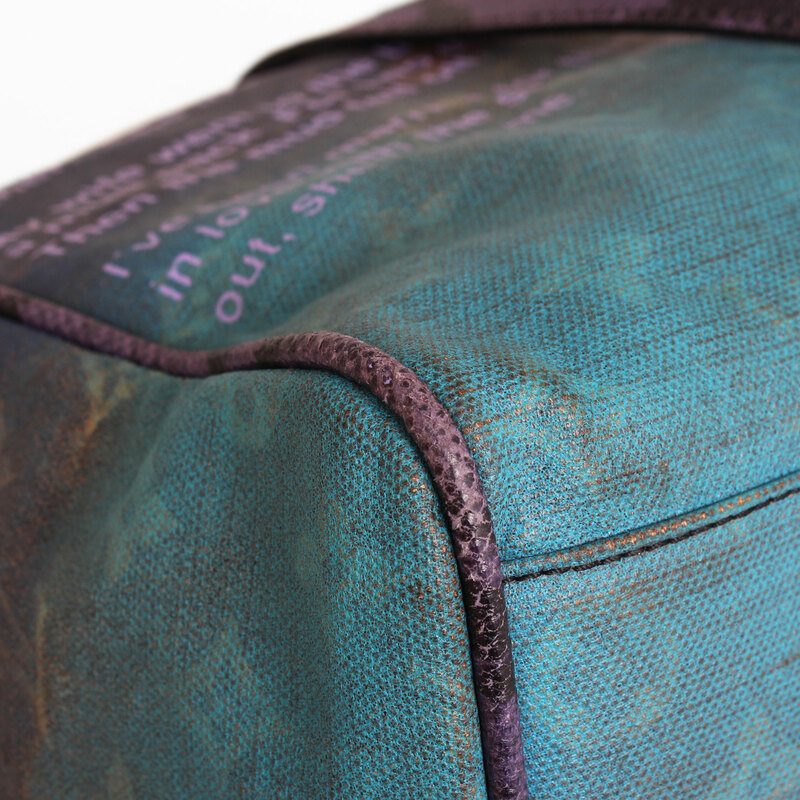 This Jokes Heartbreak bag is a light and roomy shoulder bag that allows to wear all your essentials -and more- carefree. 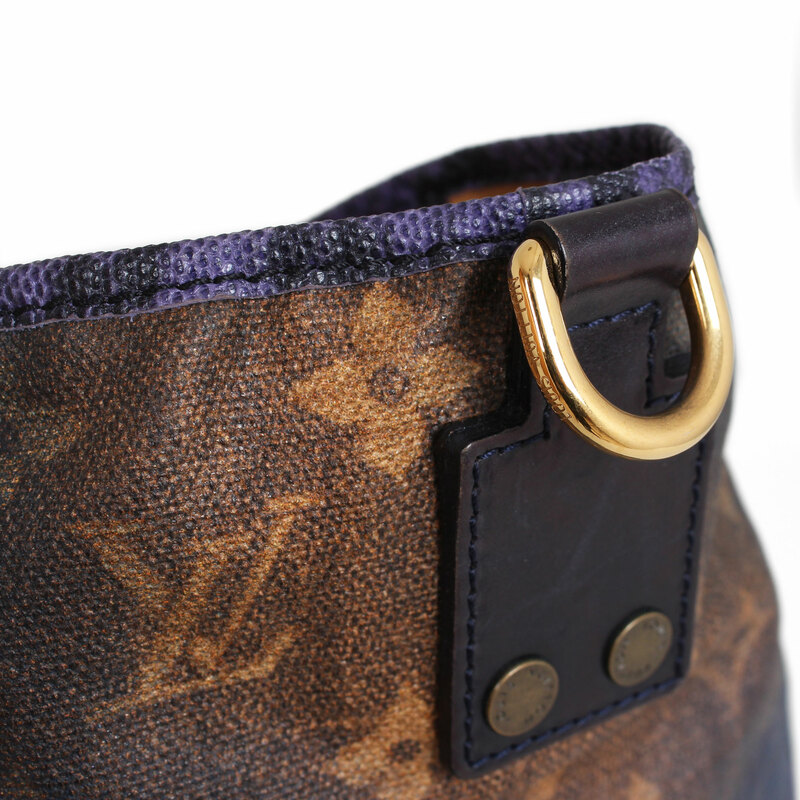 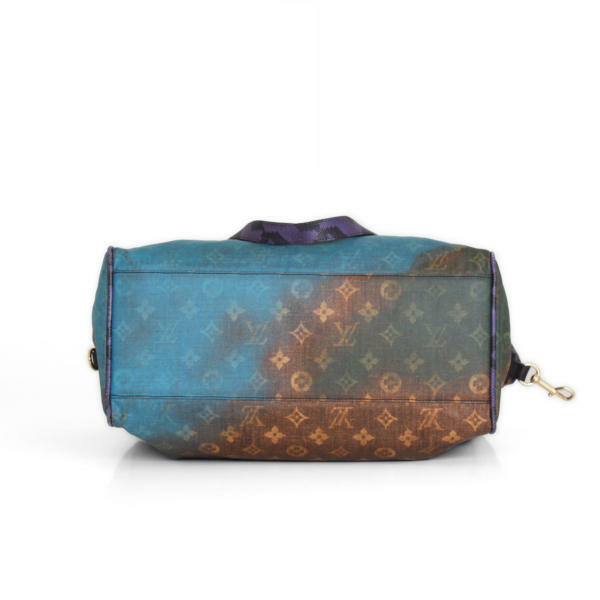 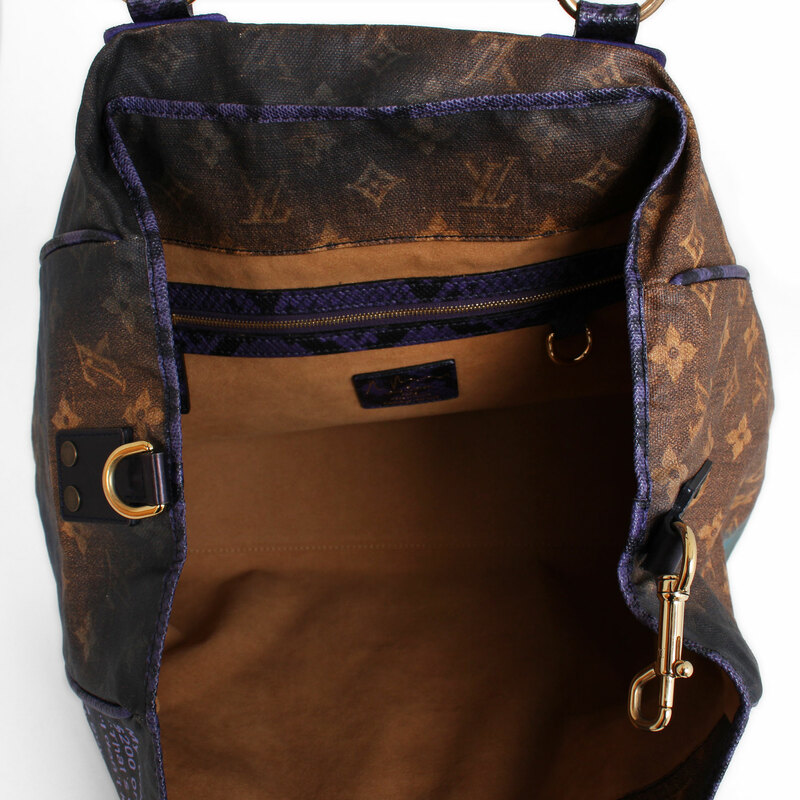 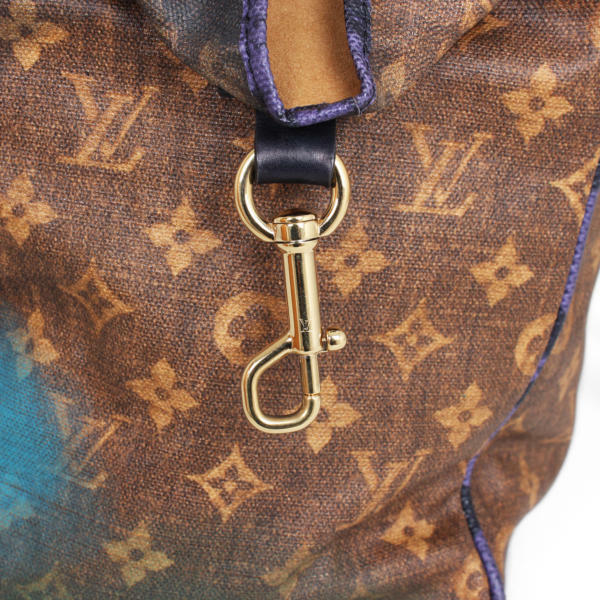 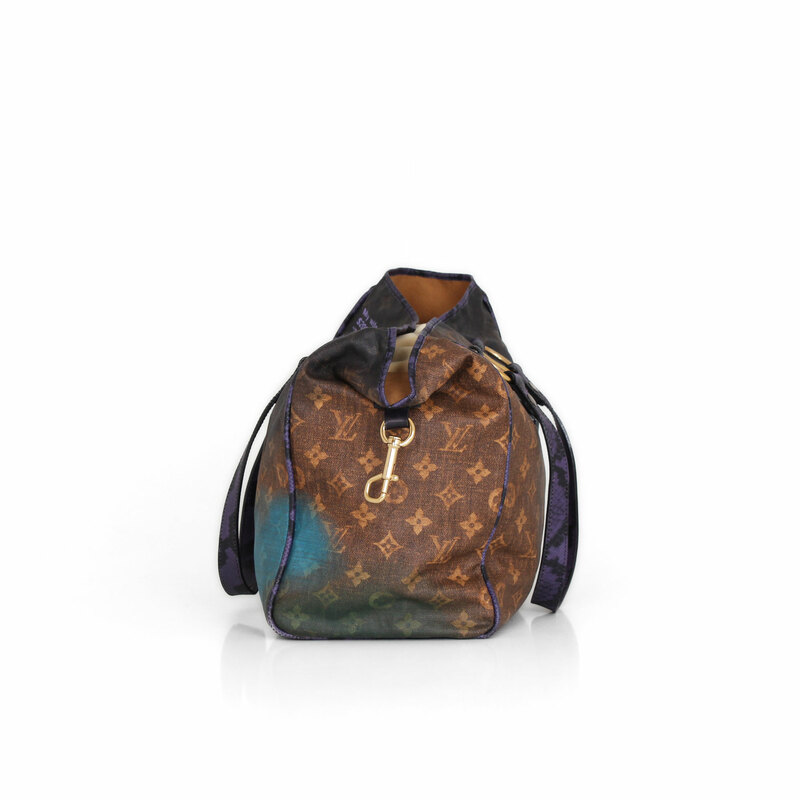 It is crafted of the classic Monogram canvas printed by the famous artist Richard Prince, snake skin and gold-tone brass hardware.